Watertown Mall features 303,008 square feet of retail space and is anchored by Dunham’s Sports and Hy-Vee Supermarket and a diverse merchant mix. 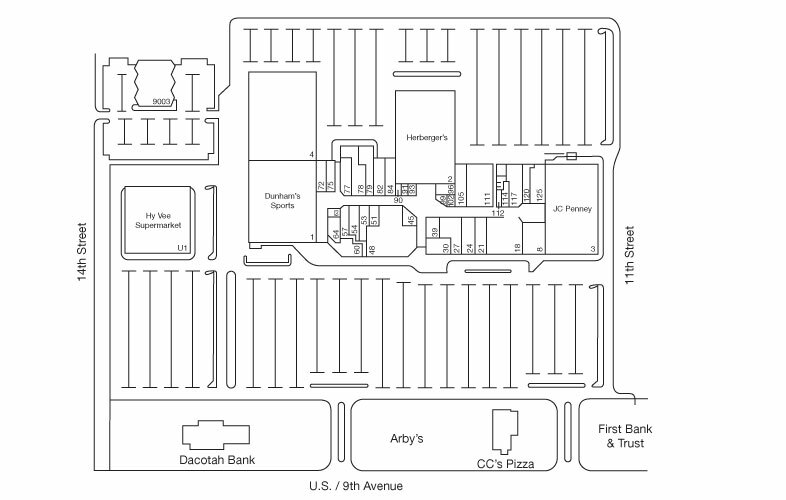 Watertown Mall serves the Watertown community, known as “South Dakota’s Rising Star,” as well as cities in Eastern South Dakota and Western Minnesota. Located in the heart of the Glacial Lakes Region of South Dakota, Watertown is home to many tourist attractions, including the Codington County Heritage Museum, Terry Redlin Art Center and Museum, and the Bramble Park Zoo. Principal employers in the area include Midcom, Telelect, Minnesota Rubber and Oak Valley Farms.